B3+The Independent, soon will become the tallest residential tower west of the Mississippi River. The Independent’s design was inspired by Austin’s bold and innovative spirit. The movement between the point tower’s tiers represents life and energy, and is an outward reflection of the lifestyle electrifying within the building and surrounding community. 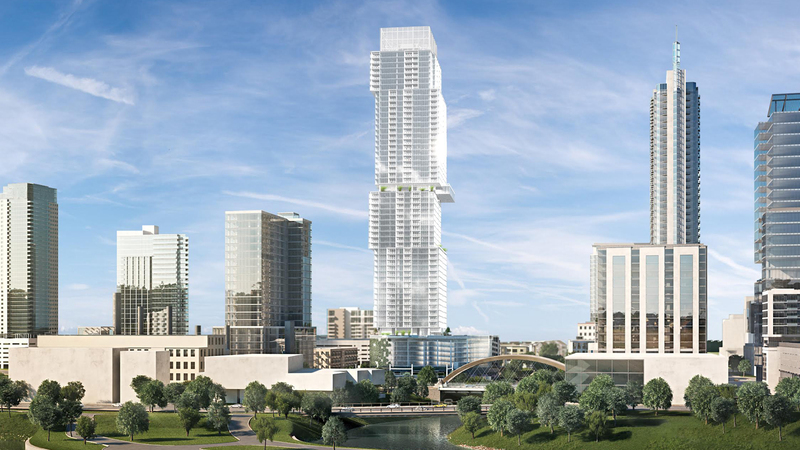 Standing 685 feet with 58 stories, the Independent will become an Austin skyline icon. The Independent is a point tower divided into four tiers with 370 total residences. Each tier has its own unique residence mix, and enables a diverse set of view and living possibilities. The residences will range in price from the mid-$300,000’s to over $3 million.